Motorola's latest flagship device - Moto X4 is all set to be unveiled today. The device which is the first Moto phone compatible with Google's Project Fi Carrier services is going to be launched in India at a launch event in New Delhi at 2.30 PM IST. The smartphone was revealed earlier, prior to its launch at IFA 2017 where it grabbed the eyeballs of many tech enthusiasts. Its arrival was scheduled on October 3rd, however, it will be launched in India today on 13th November 2017. The device is capable of supporting both Google's Assistant and Amazon's Alexa as the voice assistant and has many more features that make it one of the awaited smartphones of 2017. Flipkart will be the first to sell this device and according to tipsters, the price will be roughly around Rs 24,000. Moto X4 will be available in two color variants - Black and Grey, both of which looks equally stunning. The credit goes to its well-crafted design that gives the device a rectangular curved finish to complement its look. It comes with a 5.2-inch long touchscreen which offers full HD IPS display and pixel density of 424 PPI. Presence of Corning Gorilla Glass makes sure that the device is resistant to minor scratches and the IP 68 certification provides overall protection against water and dust. It has a dimension of 148.35 x 73.4 x 7.99 mm and weighs roughly about 163 gm. Qualcomm's Snapdragon 630 processor is one of the suitable chipsets for efficient mobile platforms. Moto X4 not only plays host to this powerful and efficient chipset but also utilizes its features pretty well. 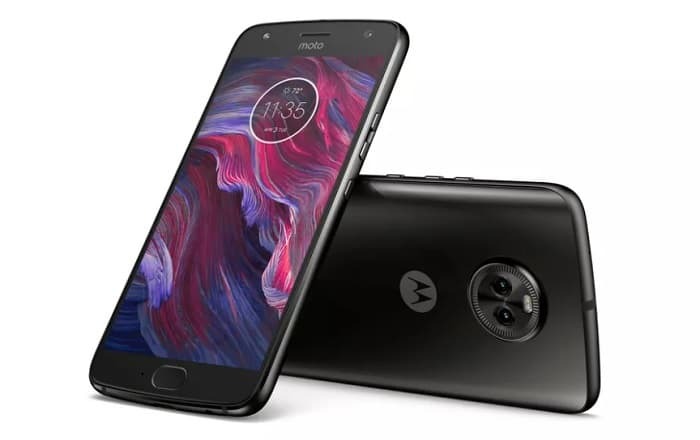 The pros of the chipset are - greater LTE link speeds, faster Adreno 510 gaming processor, multitasking and Quick Charging 3.0, all of which can be found in Moto X4. The phone will have 3GB of RAM with 32 GB of ROM with around 2 TB of extension over microSD. Android 7.1 will be the OS of the device and the phone will support Android Oreo and also the awaited Android P update. Moto X4 can also be considered as a camera-centric phone as it has dual camera setup at the back. It features one 12 MP sensor with f/2.0 aperture and another with 8 MP sensor with f/2.2 aperture. The dual setup enables the user to capture pictures with effects like ultra-wide angle shot, selective focus, depth detection, etc. and the dual LED flash helps in color correlation and phase detection autofocus. The front camera comes with 16 MP sensor with flash and is capable to adapt to low lighting conditions. Additional features which make the camera features a complete package are slow-motion capture, panorama, barcode detection, landmark detection, background replacement, etc. Connectivity options include but are not limited to Wi-Fi, Bluetooth 5.0, NFC, etc. It has dual nano SIM slots, USB type C and 3.5 mm jack as physical ports. Sensors present are Proximity, Ambient Light, Fingerprint, Gyroscope, Magnetometer, and Accelerometer. The phone is powered by 3000 mAh battery with Qualcomm Quick Charge 3.0 support. Hence, at a price point of Rs 24000, the device gives premium like feel with the camera, processors and the battery as its pros. The only cons that are visible are its high price, low internal memory, and absence of Moto Mods compatibility. Though it depends on person to person, the phone is worth a buy given that there are some additional offers and discounts that drag it down to a lesser price. Want to catch the unveiling of this device? Check out the following link to catch the Moto X4's launch in action. not greater than s7 edge though!! !